Tee hee… That was probably the most used phrase on this part of the trip. 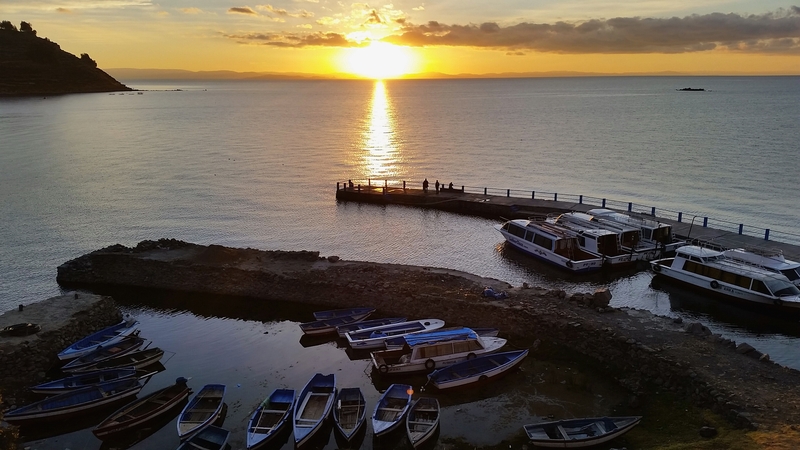 I was thrilled when we decided to continue our journey in to Peru and Ecuador, and having Lake Titicaca as our first stop was an added bonus. As you can probably imagine, the Lake Titicaca jokes started early and have lasted clear in to Cusco, where I sit and write right now. I mean, who doesn’t have a Titicaca joke?! 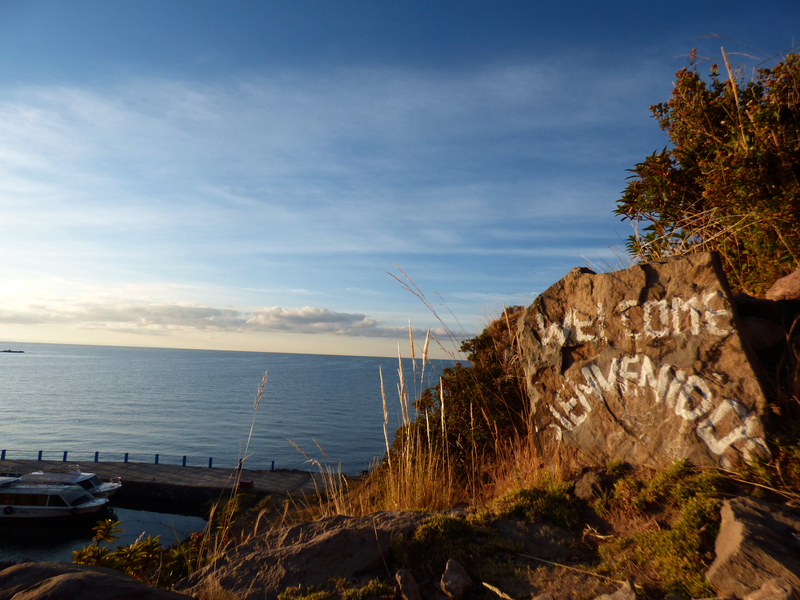 We left San Pedro, Chile, and over the next 24 hours of bus rides, many things happened. Our first bus, overnight out of San Pedro, broke down in the sketchiest city at night in Northern Chile! After all of the warnings to be very careful and by no means get off at this stop, the entire bus had to disembark and stand around in the dark for 30 minutes in Calama while they found us a new bus. Every guide book, fellow traveler, and local had warned us how many people get robbed even on the bus in Calama, so it was not the safest feeling that I had as we stood in the shady bus station at midnight. Fortunately, we had 10 other travellers with us that grouped together and made light of having the one bus that breaks down in the middle of the night. Eventually, we all got on our new bus after watching our bags get moved safely. The crowd watching the bags was especially tense, being that two fellow travelers got theirs stolen at the San Pedro bus station as we started our journey. Eventually, we made it to Arica, Chile. There, we hopped on a chicken bus over the border to Tacna, Peru to finally enter the country. Tacna was another quick stop as we booked our final ticket to Puno, Peru. This final bus was a fascinating one. Crossing between provinces in Peru consists of drug dogs and similar checks to crossing over the border of a country. A dog sniffed all of the backpacks, and the military police got on our bus and walked through feeling all of the purses and checking random bags. This all went well, and we continued on our way. However, when we were a 10 minute drive in to the middle of the desert, there were 4 packages sitting on the side of the road as our bus pulled over. As we watched out the window, the drivers leaped off the bus, put the packages in the driver’s compartment, and started down the road again. Weird, right? Well, five minutes later, the same thing happened again! When we got to Puno, the packages were unloaded before anyone even got off the bus. Well, thank you for the first impression, Peru! It certainly is interesting! As we pulled in to Puno, we paid the taxi driver about $1.25 to drive us the 2 miles to our hostel. It was a great one! Peru is SO cheap in comparison to Argentina and Chile, and this hostel booked our island stay, stored our bags, and cooked us free eggs and crepes for breakfast every morning. It felt like a 5 star hotel after the variety of hostels we have seen. For the first night in Puno, we booked our island adventures for the following two days and went to the bustling streets to explore. Puno is actually a pretty cool little city. 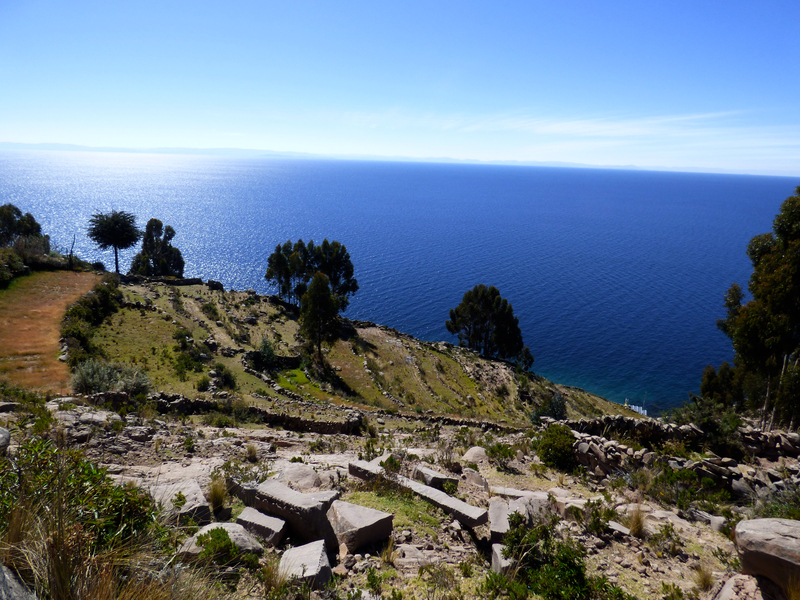 It lies on the shore of Lake Titicaca, and has an enormous, European style church that lies in the main square. There is a wide, tile street that contains all of the restaurants and shops that is constantly full of people and tourists. As we were playing pool at one of the local bars, a flash mob formed in the street right below us! We watched as people started in with the dance 50 meters in both directions down the street. It was incredible! I am bummed that I didn’t have my camera with me at the time. That’s always how it happens, huh? On the bright side, I had a refreshing mojito. 😉 Our second morning in Puno, we were picked up and taken to the docks to get on the boat headed out to the islands. 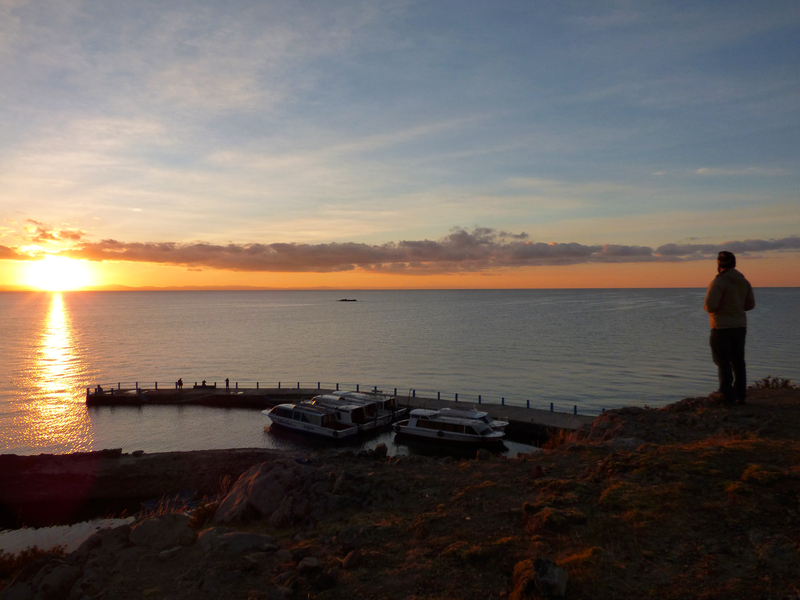 Many people say that this part of Lake Titicaca is just a “lame touristy thing” and not that cool. Let me correct that just a tiny bit from the opinion of those people. It is AWESOME. Yes, it’s “touristy”, but it is an experience that you can’t get anywhere else and I appreciated every moment of it! Chase and I had an enormous amount of fun. We were on a boat for about an hour and a half before we arrived at the first floating islands. 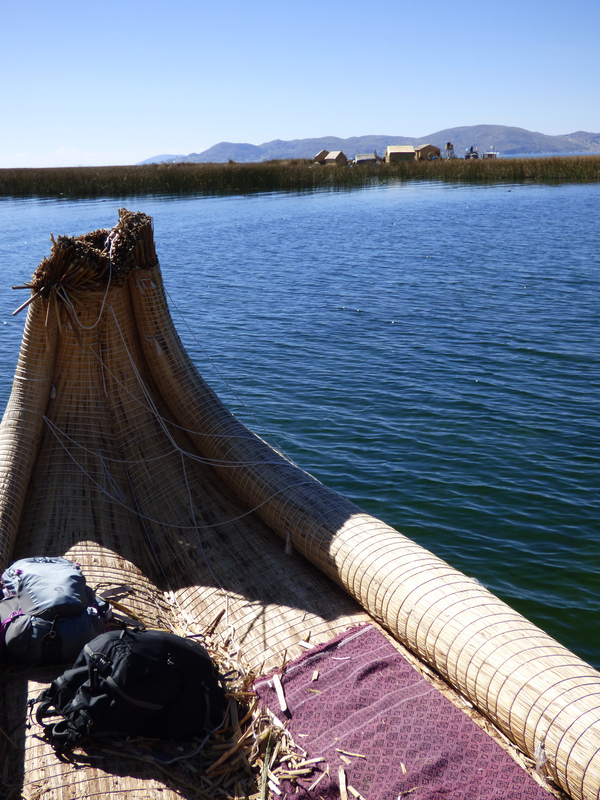 Named the Uros Islands, they are man-made by the aborigines people. They were first created when there were wars on the shoreline, and they made these islands to live on and seek refuge from the invading raids and wars. As we walked on them, it was like walking on a water bed. At first, it felt a bit off balance, but it was easy to get used to. 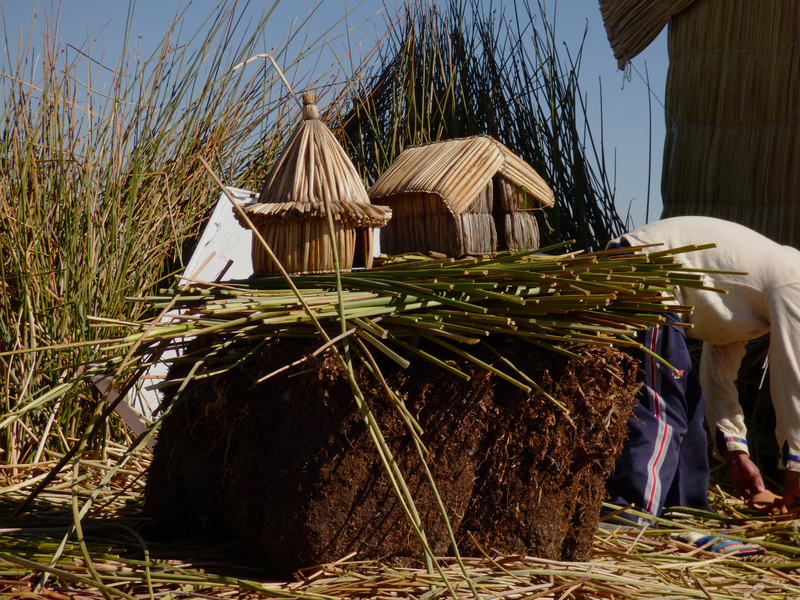 On Uros Island, there is no running water, and they have reed huts to live in. Their cooking area is very simple and well sheltered. After all, if a spark flies free and hits a dry reed, the entire island would burn down in 40 minutes! Chase and I took a boat ride in one of the original boats they created and saw their way of life in it’s entirety, from the island, to fishing, to transportation. A smaller version of the make-up of the floating islands. These islands are all made by the aborigines and continual upkeep is key! The traditional raft used, but on a bigger scale in order to fit a few of us in for a tour. Looking at the island from the canoe, I could truly see how small the islands are. The reeds surrounding the island are all under water, not land. 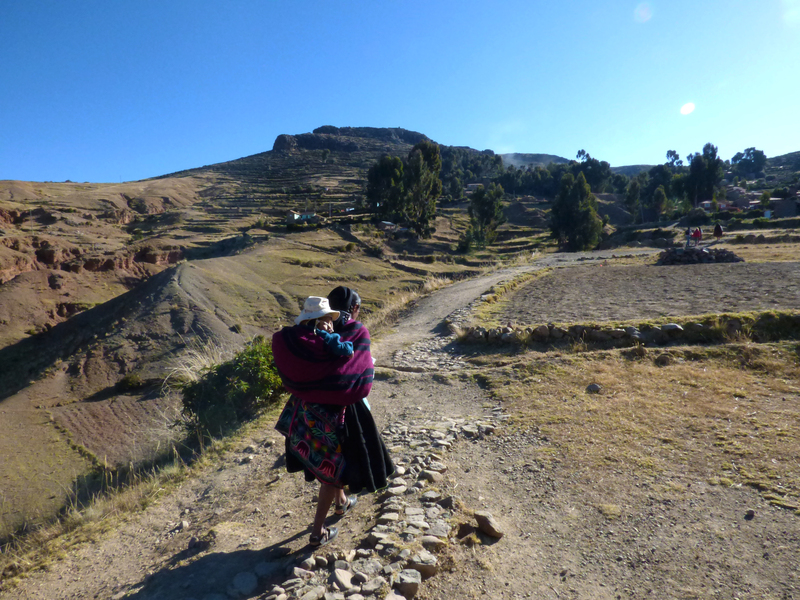 Our next stop was Amantani Island, about 3 hours further in to the lake. My favorite part about this island is that it appears to be in the ocean. 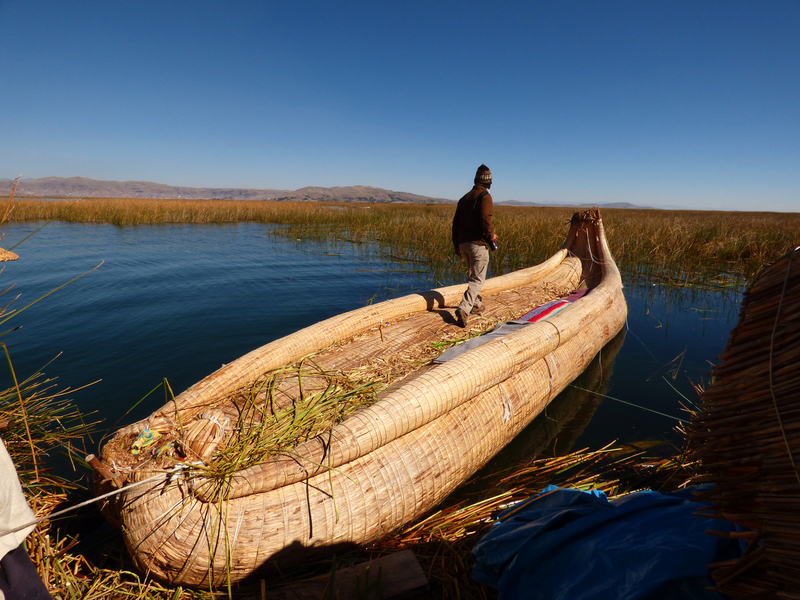 As the world’s highest elevation navigable lake, Lake Titicaca has a center point at which a person cannot see land in any direction. 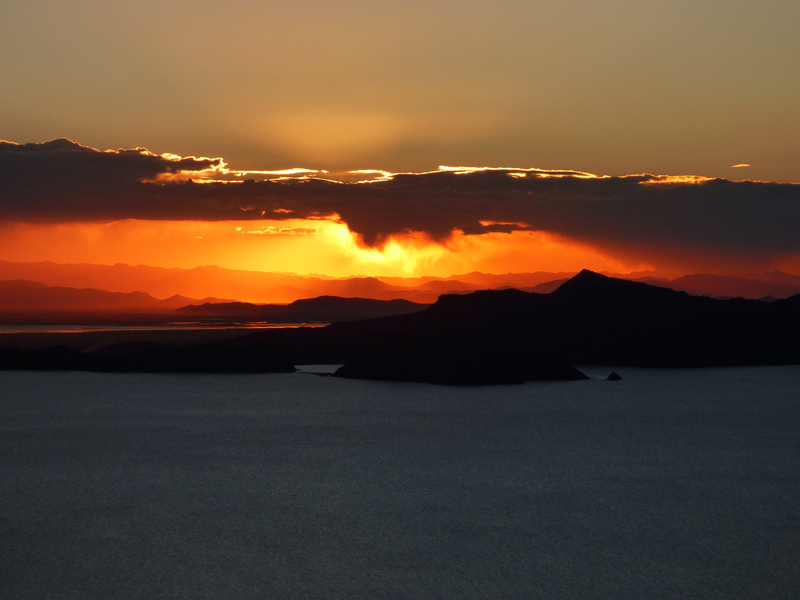 On one side of Amantani Island, we had that view. Amantani Island was the place that we were to stay for the night. Groups of two to four people were assigned “mamas” to stay with. Chase and I got a sweet woman named Rebecca. She had three kids, aged 1, 5, and 9. She didn’t speak any English whatsoever, and taught Chase and me a little bit of Ketchua, her native language. When we arrived at her home, she made us lunch. We had a delicious quinoa soup alongside fried cheese and oka. Oka is a purple hued, sweet tasting potato. I ate them all up as if they were chocolate cake! They were the best potato I have ever had! Chase didn’t like them at all. That moment will forever go down in history as the first time I was in the clean plate club and Chase wasn’t. It was amazing!!! Our host mama leads us in to the island to her house, where we stayed for the night. There’s nothing like a family and a home cooked meal for a weary traveler. 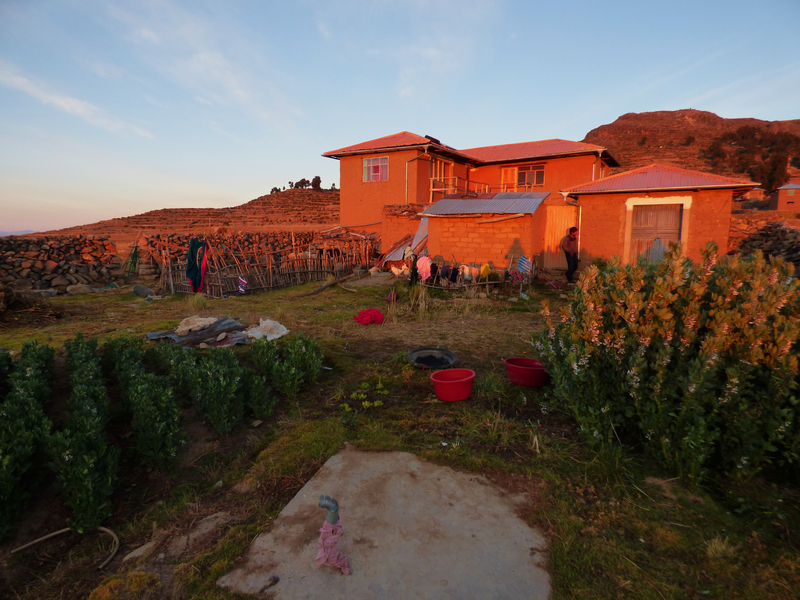 Here is the homestay we got while on Isla Amantani. Their goats, chickens, cats and plants all live in the front yard. 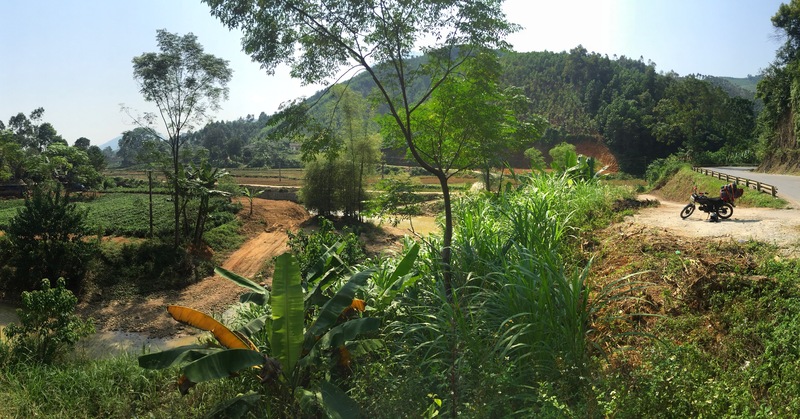 After lunch and a quick nap, we began the hike to the two mountain tops with temples at the top. As we hiked up the mountain, a cowboy rode up to me and hopped off his horse. I said hello and we started speaking in Spanish, at which point he offered me his horse! I looked at Chase, who was standing there dumbfounded, and shrugged. I gladly accepted his horse and rode to the top of the mountain. Chase tells this part of the story a bit differently, and to be fair, I will tell it from his point of view as well: “The sun is going down, and out of the blue, a cowboy rides up to our group. He swoops Jess off her feet and on to his horse, then rides off in to the sunset. She LITERALLY rode off in to the sunset on a horse! !” Slightly different viewpoints, eh? Nonetheless, it was hilarious, fun, and great that I got to ride off on horseback. At the top, we explored the temple at the top of Pacha Tata. (Yes, Pacha Tata was the name of the mountain. 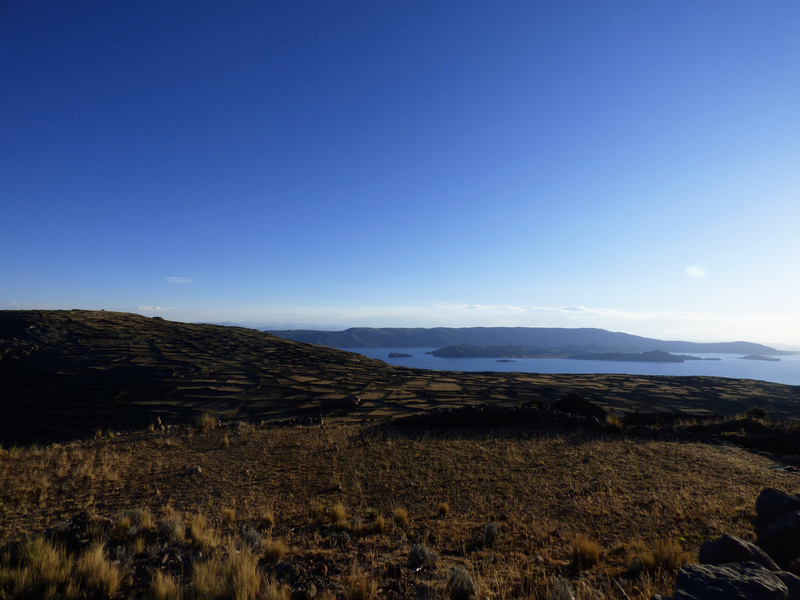 Pacha Tata at Lake Titicaca. Insert more jokes here! Tee hee…) At the top, next to the temple, we sat and watched the sunset over the Bolivia side of the lake. It was absolutely stunning! The sunsets in Peru have yet to disappoint with their beautiful colors and incredible landscapes. 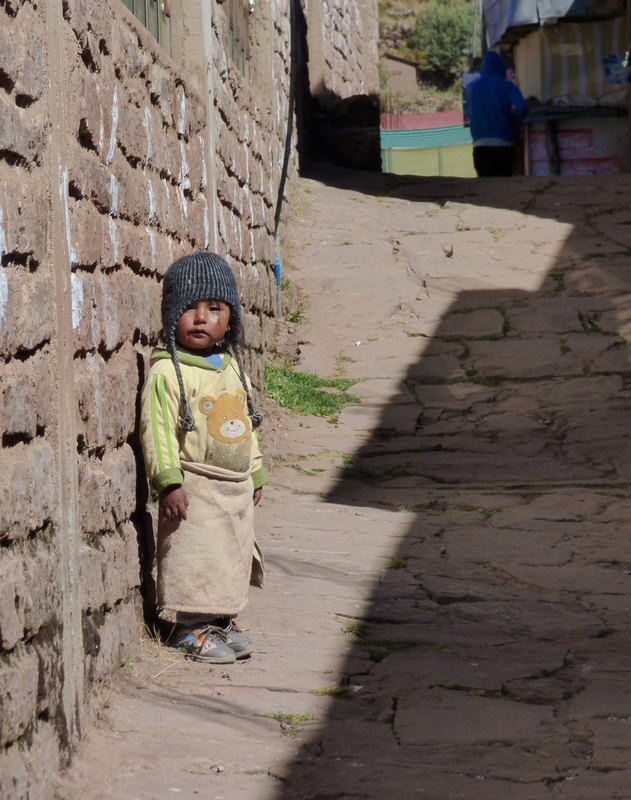 With no electricity or running water, the nights get cold on Amantani Island. We had 6 extremely heavy blankets laying over a reed bed to sleep on. Beds made of reed instead of mattresses are not bad at all! I slept surprisingly well that night and was up by sunrise the next morning. The sunrise was as beautiful as the sunset. Chase and I walked to the shore and saw some of the men fishing in tiny boats, the occasional rise from a fish in the lake, and the colors changing minute by minute. We had a quick breakfast and hopped on the boat for our next island adventure. We pulled ashore to Taquile Island. With grand homes and buildings made of adobe, colorful clothing, and fresh trout for lunch, this island reflected another style and culture of ancient Peru. 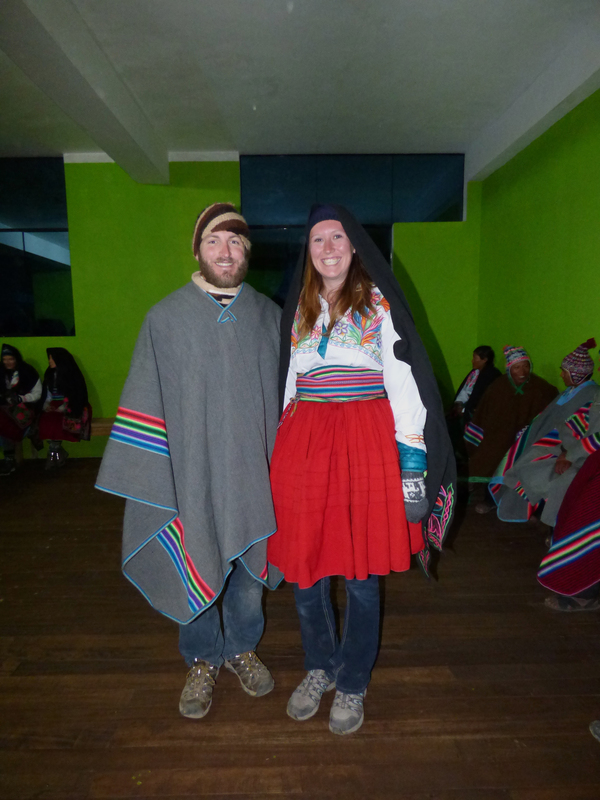 Based largely on matrimonial culture, all of the clothes and hats of the locals show who they are as a person. This includes single versus married and child versus adult. As we walked along the island, we were surrounded by greenery! For winter, this island looks better than my dad’s green lawn in the summer! The water sparkled around as we sat down at our lunch restaurant. Our table was next to an array of flowers growing with the lake as the backdrop. It was the PERFECT place to relax and have lunch. Our lunches were prepared as traditional trout dishes with fresh fish caught in the lake. I had quinoa soup and an omelette, but Chase immensely enjoyed the trout. This last island was the most beautiful in my humble opinion, and a great ending to our 2 day island adventure. We reached Puno for one last night to rest before our bus the next morning. As our first city in Peru, and my first look at Peru’s culture and beauty, I have already fallen in love. I can’t wait to share more stories and adventures over our next 5 weeks here in Peru! As we walked through town, this little girl just stood and stared at us, never moving, never making a sound.